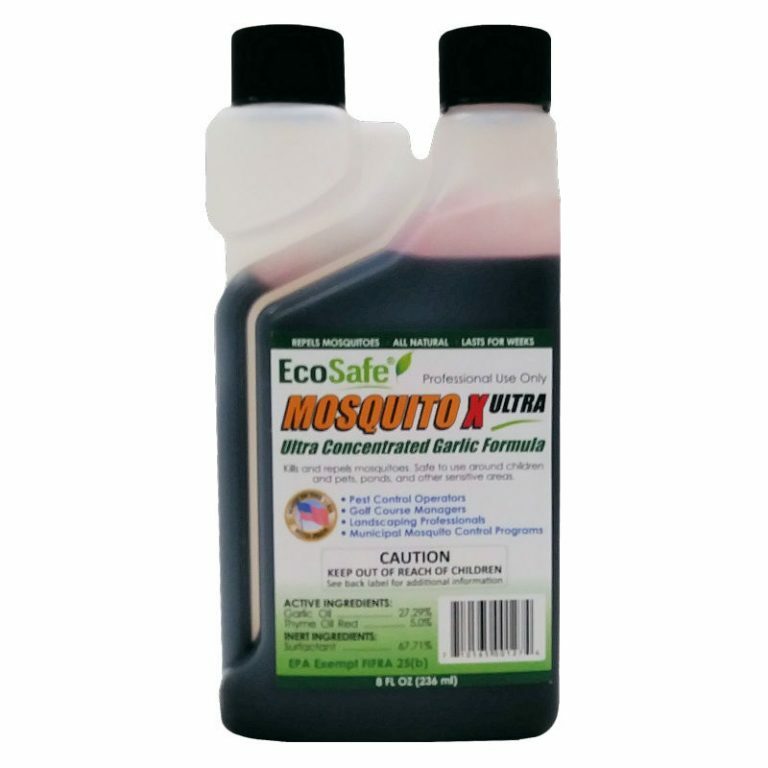 This ultra concentrated mosquito control formula contains the lasting power of garlic combined with quick knockdown of thyme. Mosquito X Ultra is the smart choice for Professional Pest Control Operators, Golf Course Maintenance, Municipal Mosquito Control Programs and Landscape Companies. Best results are achieved when applied using a truck or trailer mounted spray rig. Mix up to 2 oz per gallon at a rate of 25 gallons per 1/4 acre.